Dr. Christine Or is G.M.C. registered with a licence to practice and on the G.P. Register. She is also a member of the British College of Aesthetic Medicine (B.C.A.M.). Having qualified as a doctor at the United Medical and Dental Schools of Guys and St. Thomas’ Hospitals, London in 1993, she completed her vocational training as a G.P. and began non-surgical treatments in 1998 whilst in General Practice and Minor Surgery. As a G.P. she always had a special interest in Dermatology and completed the Conquest of Skin Disease Course at the St. John’s Institute of Dermatology, London. She also gained the Diploma in Therapeutics. She offers aesthetic solutions to achieve a rejuvenated appearance for men and women. She takes a “Whole Face Approach” to her work to ensure facial harmony is maintained, and is passionate about creating a fresh natural look. Dr. Christine is trained in advanced techniques in wrinkle relaxing treatments and dermal fillers. She has been trained in Harley Street and by world famous plastic surgeon Mauricio de Maio, and specialises in the Juvederm “8 point face lift” and “MD Codes”. 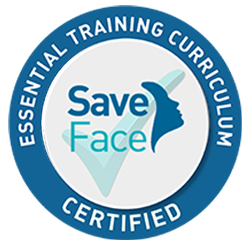 She continues her professional development and regularly attends courses and conferences about the latest developments in Aesthetic Medicine. I have had two appointments with Dr. Christine for an 8 Point Face Lift and have been delighted with the results both times. Dr. Christine tailors this to one’s requirements and pays particular attention to the balance of the face in an artistic way. I have complete confidence in her abilities. She is such a lovely person who puts you immediately at ease. Before going to see Dr. Christine, I was dealing with the numerous problems of hyperhydrosis on a daily basis. My case was so critical that I would not wear expensive clothing, nor certain fabrics for fear of ruining them. After a consultation that made me feel completely at ease, my treatment was carried out not long after. The experience itself was calm and flexible to what I needed. I feel that Dr. Christine has a skill for reading her clients and tailoring the treatment to suit what they need – both for their condition and to make them feel comfortable. After a successful procedure, I can honestly say that my life has changed for the better; giving me more freedom and confidence. I continue to go to Dr. Christine for the following rounds of treatment, and she continues to be both punctual with appointment setting and utterly lovely personality wise! My only regret is that I did not find her sooner! I can highly recommend Dr. Christine as an Aesthetic Practitioner. I am impressed with her attention to detail and her ability to work with an individual’s features. She makes every effort to work with her clients to achieve subtle and enhancing effects. Dr. Christine will not suggest treatments that are not needed or will not work on a client. I have experienced practitioners that give generic treatments, are rushed and are focused on selling. Dr. Christine is patient, knowledgeable and highly skilled. She has a gentle and reassuring manner that enables her to make clients comfortable and confident. I would not trust another practitioner to apply treatments to myself or my daughter. “Dr. Christine is hands down the best doctor I’ve met in my whole life. From the minute I contacted her to the end effect, she was absolutely amazing. I cannot thank her enough. She listened carefully to what I wanted and to all my concerns, and explained everything clearly and honestly. She made me feel completely in control and had great empathy with my nervousness about the procedures, and she gave me all the space and time I needed to make my own decisions. Dr Christine has the most incredible bedside manner; if only all doctors were like her! She’s calm and supportive and put me at complete ease during the procedure, despite the fact that I was incredibly nervous! I wanted a very natural lift, and was particularly concerned about ending up with noticeably enlarged lips (I had Botox, fillers for wrinkles and acne scars and lip filler) but I needn’t have worried: Dr Christine listened to every single thing I wanted and gave it to me! She put my safety and well-being first and skilled beyond measure. The work she did was incredible, I couldn’t have asked for more. She’s an artist. Finally, her aftercare really is second to none. Because of her skill and sensitive touch I had minimal swelling and no bruising at all, but I was still nervous and she took the time to see me personally and put my mind at ease. All is good here, as I said my face looks incredible! I can’t thank you enough! I’ll be booking in for my tops soon (and promise I’ll be less of a bother). I am really pleased with my dermal filler results. Dr Christine is extremely skilled and knowledgable and a real artist. She is gentle, patient and listens to your needs. I will definitely be returning! I have been seeing Christine for nearly 4 years and have always been thrilled with the results. With her incredible skill she produces a natural look literally wiping away the effects of aging. I feel very fortunate to have found her and highly recommend her to anyone who is nervous about using botox or fillers. You are in excellent hands with Christine. Dr Christine is simply fantastic. I feel totally comfortable and I know she will listen to me and what results I want to achieve. She has been spot on every time . She takes time and is extremely good at what she does . I have been thrilled with the results each time I have seen her . I simply would not trust my face to anyone else ! Go and see her I guarantee you will feel amazing ! I cannot recommend Dr Christine enough. I have had work carried out elsewhere and always felt like I was on a conveyor belt with no interest taken in the end result. Dr Christine took her time and explained the procedures in full. She recommended what she thought was best for me, so that I did not look “overdone”. I have had various procedures carried out on my face and am delighted with the natural look achieved. I feel wonderful ! Dr Christine was very calm and puts you at ease. She goes at your pace and makes sure you are comfortable. Very happy with the results. We can all agree that beauty starts from within…mind, body and spirit. But seriously…a bit of “tweaking” is the sublime icing on our cake! I met Dr. Christine about a year ago (as a professional referral) and from our first meeting she made me feel informed, comfortable and yes, beautiful as I am. There was nothing she would pressure me to do. I was there for Botox and she understood right away that I did not want to change my appearance, just make it sparkle a bit brighter. Not only does she get it right, she goes the extra mile to personally check up on me and make sure that treatments have settled and most importantly, that I feel good about them. Dr. Christine is a gem in the industry. Professional, knowledgeable and personal…would recommend her to everyone. I’ve been going to Dr Christine now for over 2 years and I have to say she is the best Aesthetic Dr I’ve ever been to. And trust me I’ve been to a few in my time. But reasons why I’ve stayed with Christine is because she knows exactly what suits my face. Not only is she amazing at what she does she’s such a kind hearted person and I highly recommend her!!! I’d trust Christine with absolutely anything. She’s warm, kind, intelligent and competent and, importantly for me, a doctor. She is careful to explain everything and always works to the “less is more” principle. The results are natural and understated. I have been going to aesthetic clinics for a number of years both in London and in Kent and have recently discovered Dr Christine who is excellent. She looks at the whole face when making an assessment and uses filler in a subtle but very effective way with a less is more approach. She explains what she is going to do first and gave me detailed medical reasons why botox is no longer very effective on me (which saved me money!). I feel I looked refreshed but not over done. In fact I hadn’t seen my university daughter for a few weeks and she commented that I looked glowing and my make up looked great. This is a sign of a good practitioner when someone can’t put their finger on why you look better. Dr Christine is the best Dr to see for any aesthetics. Careful, gentle and without question trustworthy. I trust her opinion and have never been anything but extremely happy with my results. Dr Christine approaches her work as both a science and an art. As a result, she creates a balance between the skill in the execution of her work and the natural beauty she achieves with her sense of aesthetics. Dr Christine creates a professional yet caring atmosphere so that her clients feel confident in her work, as well as safe and well looked after every step of the way. Dr Christine has easily lifted ten years from my face with a natural looking result – and that is after only one session! Hi Dr Christine thank you so much for the treatment I had the other day. The results exceeded my expectations, and I have a new boost of confidence! Christine makes you feel completely comfortable and makes you a part of the whole process to ensure you get the results you want, discussing your expectations and queries thoroughly beforehand. I feel I am in safe hands with her and am always so pleased with results every time. My treatment with Christine has improved my confidence massively and I can’t recommend her enough. Dr Christine is a miracle worker! Not only were the results excellent, they were exactly as I had asked – subtle, exacting and very natural looking. She really listened to what I wanted – no ‘one size fits all’ for Dr Christine! If you want ‘the works’ I am certain she can oblige with great skill, but if, like me, you are happy being you but would just like to look a little less tired and a bit more ‘firm’ then I highly recommend Dr Christine. She’s also very competitive price wise. A real find in Tunbridge Wells. I’ve now been to visit Dr Christine twice and on both occasions I couldn’t ask for a better level of service. Always extremely welcoming and eager to put her patients at ease. She makes you feel comfortable and caters everything to your exact needs, ensuring you are fully aware of the procedure and talking through each product she uses and the effects they have. This technique makes you feel very involved throughout and you feel content knowing you are in safe hands. I even have quite the fear of needles and she still manages to guarantee I am calm and relaxed with each visit I make. The best part for me is that I like to keep things very natural and she has certainly mastered this art (again catered to each individuals tastes and expectations). I could not recommend Dr Christine enough – professional, friendly and extremely attentive! Even going as far as to keep in contact after the procedure to ensure I am pleased with the results. Iv always been very nervous having any treatments done but I can honestly say that Dr Christine makes the experience so much better & makes you feel at ease. So professional & gentle & talks you through the whole treatment without hardly feeling a thing. Dr Christine is extremely professional and kept in contact after my treatment to make sure everything was ok. I am very happy with my naturally looking fuller lips. I would highly recommend. Just want to say a big thank you for your amazing work – you are so fabulous! I honestly feel like I’ve had a jaw lift the filler has been so effective – it’s totally eliminated my marionette lines under mouth, and defined my jaw line and lower face again. And the botox is wonderful too – completely, completely natural looking, but makes a huge difference. At the risk of sounding totally vain, I do feel pretty and attractive again, whereas I had been starting to feel age was getting the better of me. And the great thing is, which is important to me, no one would ever know! Big thanks, see you in a few months! Dr. Christine has transformed my skin! I have suffered from acne prone skin since I was a teenager. I have spent so much money on trying lots of different products and treatments but none of them have worked in the long run. I finally visited Dr. Christine and she introduced me to the Obagi skin care range and Skinade. It has completely transformed my skin! My skin is finally calming down and I couldn’t be happier. I just could not recommend Dr.Christine enough! I recently visited Dr. Christine as my frown line was really getting me down and following a hideous couple of months, I thought it was time for a little treat so booked in for some Botox. Dr. Christine is extremely professional and only treated area’s that I actually needed rather than try to pressure me to spend more on area’s that didnt really need it / wouldnt be suitable. She makes you feel very comfortable and I am beyond happy with the results. I’ll never go elsewhere again! I recently visited Dr. Christine’s clinic to have some dermal fillers in my cheeks and my lips to correct asymmetry and add a bit of volume. I have been to a few clinics before but always just felt like a “number”, just another customer. But my experience at Dr.Christine’s clinic was completely different! I was so impressed! She answered all my million questions and provided me with thorough information about the procedure. 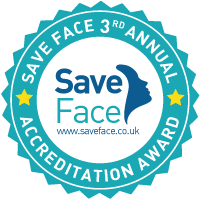 Dr Christine took the time to really assess my face to ensure that I would get the results I was after, I never felt rushed and I really felt that I was in safe hands. And the results are amazing! I never felt or looked better and I just cannot stop looking at myself in the mirror. Thank you! Fabulous to have found Dr Christine. I highly recommend her. Thankfully fitting me in, in time for my function. Her caring approach throughout my consultation. Having discussed my needs for now. I was totally put at ease whilst I had my bespoke treatments. The little touches of being contacted the next day, in this industry says everything about this Dr, she is definitely a five star, consultant who genuinely cares for there clients. I am already planning my next treatment. Dr Christine is amazing! Great lady, really put me at ease and I’m one of the worst patients ever!! Thank you!! Very happy with my recent appointment with Dr Christine. She tailored the treatment exactly to my personal requirements and achieved results I have not had at other clinics. Really friendly and felt instantly that I was in safe hands. Totally recommend! Really happy with her work, she really knows what she is doing! And can take ages off you! I would highly recommend Dr Christine. She carefully listened to what I wanted & exceeded my expectations. She explained everything thoroughly & is very friendly & personable. Thank you for the excellent treatment I had when visiting you to have botox. I am so pleased with the results; I can definitely see a big change and this has made me feel more confident and self-assured. It is just nice to treat yourself sometimes and make yourself feel more attractive. Thank you for your kindness and professionalism, I will definitely be coming back for more! Met with Dr Or to have lip enhancement. As a man i wanted a subtle look. She was very helpful and put me at ease. Very happy with result and will be going back for further treatments. Love my lips by dr Christine ! She was so gentle and very professional! Great results! Highly recommend ! I went to Dr.Christine for lip fillers, to get more of a pout to my lips. I didn’t actually want the lip to be fuller just turned up a little, Dr.Christine recommended what I should have done, I totally agreed. It was very professionally done and listened to exactly what I wanted. I love my new natural pout!! Definitely Highly recommend. Lovely results, I have come to dr Christine for my lips twice now, would highly recommend her! Dr.Christine is an expert! Very warm as a person that managed to create a calming atmosphere during the whole process. She gave me CHANEL lips! As I work for the brand they expect me to wear sharp rouge lipstick troughout the day. So Christine is the one I trusted to correct the shape of my lips. She was very skilled, careful of the steps she took also very informative. My lips are visibly enhanced fuller and bigger but yet very natural. I instantly felt prettier and pleased to work with a trusty professional. Already shared her business cards with several girls!